Hopes for a quick resolution to Greece’s bailout review faded after Europe’s stability fund froze short-term debt relief measures that would have eased the nation’s payment obligations. A spokesman for Eurogroup chief Jeroen Dijsselbloem said on Wednesday that the decision by the administration of Greek Prime Minister Alexis Tsipras had made it difficult for the Eurozone to believe that Athens was really sticking to its previous commitments. The Athens stock exchange index lost over three percent in response to the announcement. Eurozone finance ministers on December 5 approved new debt relief measures to alleviate Greece’s colossal national debt in the wake of the bailout, its third since 2010. 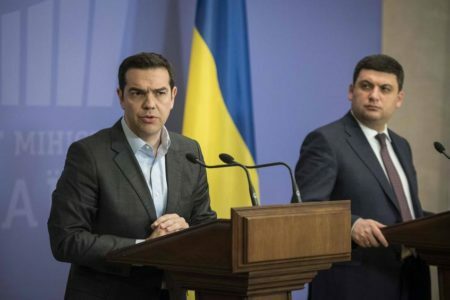 But Tsipras three days later announced new spending measures to help pensioners and the Greek islands that have been on the frontline of Europe’s migrant influx. The setback throws even more confusion on Greece’s current bailout as the eurozone and the International Monetary Fund battle over how far to push Athens on implementing more austerity policy reforms. The IMF on Monday angered the Europeans by arguing that Greece does not need more austerity at this time, and in fact spending cuts have gone too far already. But the Europeans are keeping a hardline stance against Athens, led by Berlin’s powerful finance minister Wolfgang Schäuble as key elections approach next year in Germany and the Netherlands, where bailout fatigue is fanning voter discontent. Dijsselbloem’s spokesman said that the institutions overseing the bailout would report back to the finance ministers in January.